This week’s issue of Dengeki PlayStation (a print publication in Japan) announces a new mainline Atelier game, Atelier Sophie: The Alchemist of the Mysterious Book. 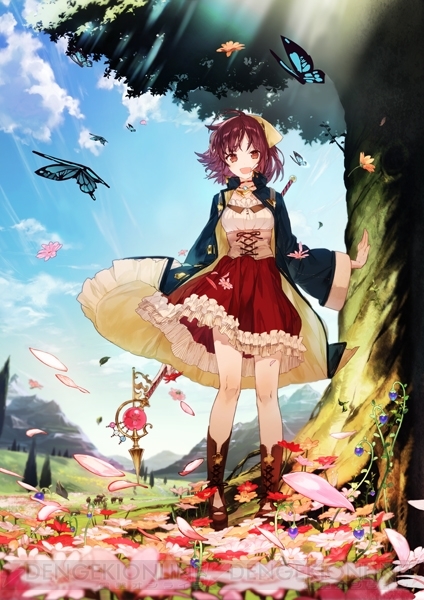 Off of the heels of related trademarks being publicly announced not too long ago, the reveal of Atelier Sophie is quick. Each of the past two trilogies (Arland, Dusk) featured dedicated character design artists to suggest aesthetic cohesion, and for Atelier Sophie two artists are being used to design characters. It’s not unheard of; the Tales series has featured character designs from both Kousuke Fujishima and Mutsumi Inomata in their games since Tales of Xillia. Credit for images featured in this article go to Dengeki. Interestingly, the game is being developed for PlayStation Vita, PlayStation 3, and PlayStation 4. This means that Atelier Sophie will be the first Atelier title with a presence on the PlayStation 4, a leap that does make sense since the platform is seeing increased activity in Japan. If anything, we probably should not expect any “Plus”-type ports to the Vita as has been the case for most of the recent Atelier games. 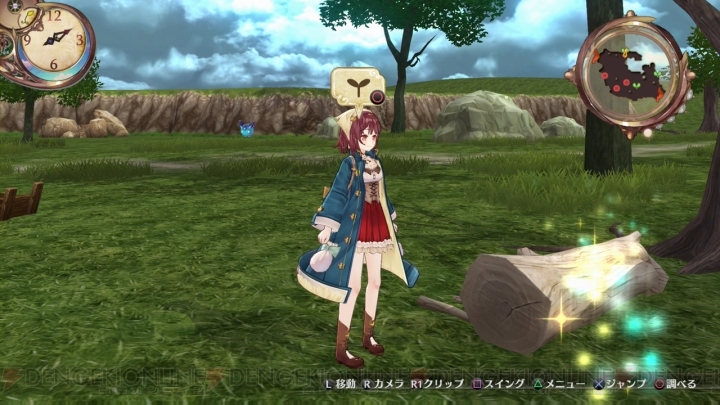 The Plus remakes often featured DLC offered separately from the base disc content in console Atelier releases. There doesn’t seem to be a reason to separate the content offerings across platforms this time. The “book” mentioned in Atelier Sophie‘s subtitle is apparently highly significant to the overall plot of this game, according to Dengeki PlayStation. It’s worth noting that there’s a clock symbol in the upper-left corner of some screenshots. Time management, a mechanic traditionally inseparable from Atelier games (albeit not always present in the same form) was absent from the most recent Atelier release, Atelier Shallie: Alchemists of the Dusk Sea. It’s possible that time management might not appear in Atelier Sophie though, or at least not in a form we’re familiar with; perhaps the time can pass while exploring the environment thus yielding different materials to gather or enemies to fight, similar to Xenoblade Chronicles. Famitsu also teases detailed coverage of Atelier Sophie’s announcement through an upcoming edition of Weekly Famitsu in their own recently-published article. Paul Kainoa Vigil has been playing video games for as long as he can remember. His tastes are varied, ranging from action platformers to RPG's, and even the occasional adventure game or visual novel. His gaming tastes are almost as interesting as his backlog of games, which continue to grow.